Geothermal videos are plentiful but most of them are too technical, contain too much hype or do not address costs or a payback example. Many are just too long! Precision Comfort Systems finally decided to create our own geothermal videos so you could get everything you need in one location. We have three geothermal videos. Yes, they are homegrown by our in-house talent, but we did not feel like spending $20,000. (Maybe that is why our geothermal system installations are so reasonably priced?) Here is a link to our video page if you want to start watching now. Otherwise, a brief description of our current geo videos is below. If you are shopping for a new geothermal heating and cooling system, you are probably overwhelmed with the number of geothermal videos to watch. But I have watched many of these and most seemed to lack the topics that are most helpful to our customers. So we made some better ones. And how do we know? After decades of teaching the public about energy efficient geothermal, we noticed most of our customers had a very similar list of questions. We also noticed our conversations had a very predictable progression through several topics. So we condensed our normal back-and-forth from an hour to just a few minutes and made these videos. You will probably want to watch them all, but here they are listed in order of importance. Geothermal, Part One. Clever name, huh? This is obviously where you start. How does geothermal work? How does it compare to conventional home heating and cooling systems? What is a geothermal ground loop? What are my geothermal loop options? Geothermal, Part Two. Finally, a video producer who is not afraid to suggest a realistic cost for a high efficiency, geothermal heating and cooling system. Then see how this compares to an estimated energy savings per year and finally a payback. 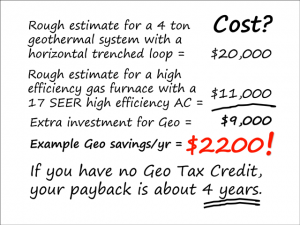 Now apply the geothermal tax credits and you have the first geothermal video that covers the topics you really need. Geothermal video on the actual installation. 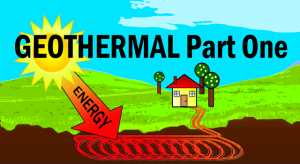 I realize you have just watched two very informative videos about geothermal heating and cooling, but don’t miss this third one. Here we cover the actual installation of a geothermal system and the geothermal ground loop. 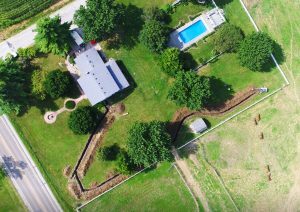 Covered from the air with drone video, this is a great way to witness the hard-to-envision aspects of a major energy upgrade. After watching these three geothermal videos, you will know everything you need to know about the most efficient heating and cooling system available. Comments or Questions about this topic? Send Dan a message on Precision Comfort Systems Facebook, or you can use this form to send us anything in private.